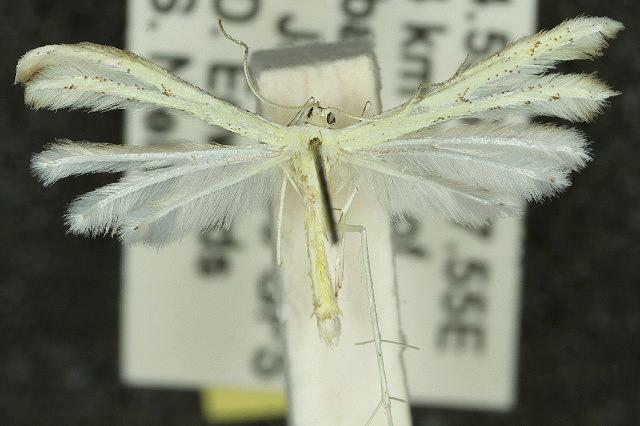 The adult moth of this species is pale yellowish-green, with variable brown specks on the wings. The wingspan is about 1.7 cms. Volume 43, Parts 3-4 (1991), pp. 101-110.